New York, USA, 12 August 2016 – Blockchain will fundamentally alter the way financial institutions do business around the world, according to a new World Economic Forum report, The future of financial infrastructure. However, the effects will be hidden, coming from new processes and architecture based on blockchain rather than radical fintech innovation or new currencies such as bitcoin. 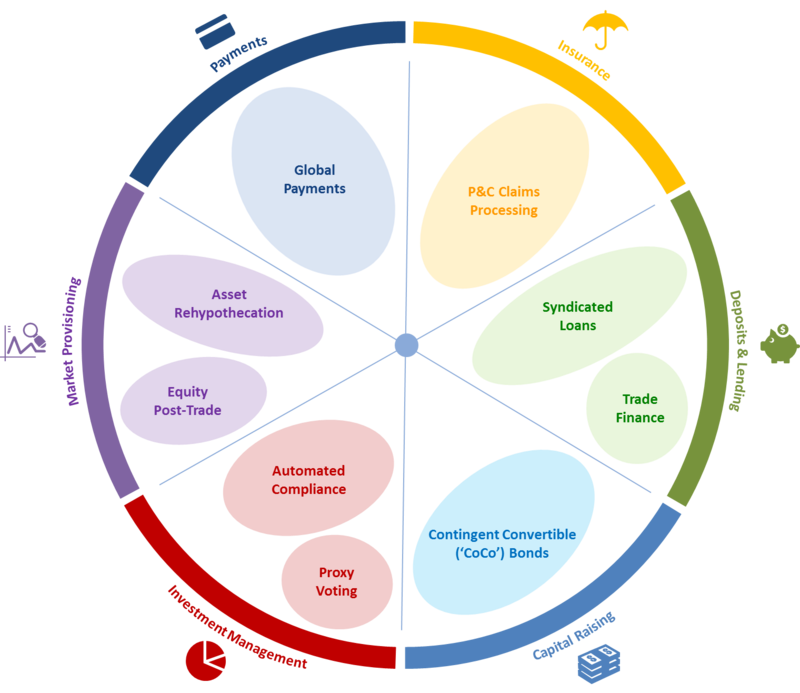 The report focused on nine individual uses of blockchain across six separate activities in financial services – insurance, payments, market provisioning, investment management, capital raising, and depositing and lending – to build a picture of how processes in each could be transformed by the technology. It also considers how other emerging technologies in the industry, such as biometrics, cloud computing, cognitive computing, machine learning, quantum computing and robotics, will combine with blockchain to drive further transformation. Compliance reporting of banks to regulators, currently a long and ineffective process . With blockchain promising to simplify back-end banking processes, making them cheaper, securer and more accessible, one area where it could have a profound impact is in creating an inter-bank, blockchain-based fiat currency to streamline the arduous process for transferring money, as illustrated below. Such process innovation would cause blockchain technology to enter the finance bloodstream. Blockchain could thus redraw the structure of financial institutions and the back-end of services as we know them today. Blockchain could allow consumers to pay less for all kinds of financial activity, from international payments to the trading of stocks and bonds. It could also give regulators new capabilities, allowing them to stop regulatory violations before they start and to watch more effectively for warning signs of financial crises. However, Bob Contri, Global Financial Services Industry leader, Deloitte Global, and a co-sponsor of the report, said competing financial institutions will need to come together to achieve these results. “Before full adoption is possible, there are factors that need to be addressed, including an uncertain regulatory environment, lack of standardization efforts and the need for a formal legal framework,” he said. Similar to any technological innovation, blockchain comes with a set of risks that must be considered, the report also notes. These include errors in the design, malicious autonomous behaviour as a consequence of human decisions, and potential gaps in security across all inputs and outputs. Challenges such as these must be overcome if the economic and social benefits of blockchain are to be realized. About the report: The report is the most recent phase of the Forum’s ongoing Disruptive Innovation in Financial Services project. It draws on over 12 months of research, engaging 200-plus industry leaders and subject matter experts through interviews and multistakeholder workshops. “While there is no doubting the transformative potential of blockchain technology, it is not a blanket cure for inefficiency in financial services. At this stage of evolution, the critical task is knowing where to focus your efforts. Blockchain will have the greatest impact when applied to business problems involving a shared repository of information, multiple writers, minimal trust, the presence of intermediaries and interdependencies between transactions. Without these conditions, blockchain may not be the answer,” said Rob Galaski, Partner, Deloitte.